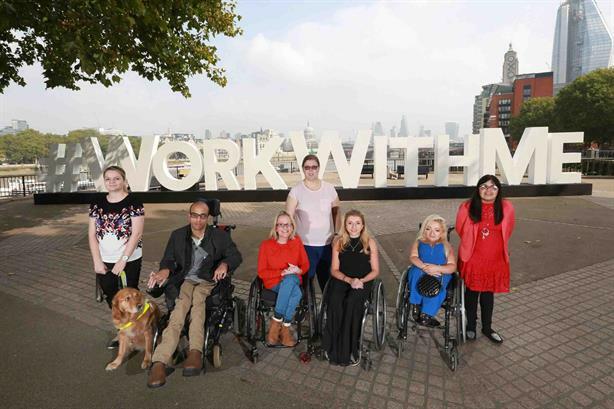 Virgin Media and disability charity Scope have launched the Work With Me campaign designed to get one million disabled people into work by 2020. Work With Me aims to highlight some of the barriers disabled people face when trying to gain employment, while addressing these issues by helping disabled people gain the skills and knowledge they need to get and keep jobs. The campaign follows research by Scope of 2,000 disabled people that found when applying for jobs, only half of applications result in an interview, compared with 69 per cent for non-disabled applicants. The research also found that 37 per cent of disabled people who don't feel confident about getting a job believe employers won't hire them because of their impairment or condition. Speaking about the campaign in the video below, a man named Josh said: "There is a scandalous waste of talent in terms of the lack of disabled people in work and the number of disabled people who could work and want to work." Virgin Media is funding Scope's new digital employment support service for disabled people, which is due to launch in the coming weeks. The ambition is to reach one million disabled people with employment information and support by the end of 2020, Virgin Media said. Tom Mockridge, CEO at Virgin Media, said: "Working with Scope has been eye-opening and we've had to face some hard truths to better understand and address the challenges disabled people face. It's inspired us to launch the 'Work With Me' campaign with Scope. Together, we're asking industry, government and the public to join us and support more disabled people get into and stay in work." Work With Me forms part of Virgin Media’s wider partnership with Scope, which included the media brand donating its shirt sponsorship of Southampton FC to the charity for one football match during May. That campaign was created in partnership with Virgin's PR agency PrettyGreen. PR for the #WorkWithMe project was handled by Brands2Life.